Testicle Tea Bag - Moar Stuff - You don't need it but you know you want it. 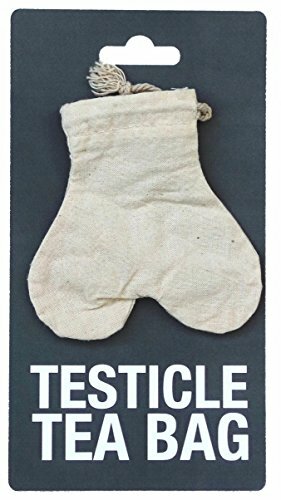 Prank gift for a friend or enemy with a reusable tea bag in the shape of testicles. Buy for a bachelorette gift, a funny gift, April fools day prank, gag gift, gifts for men, etc. The Testicle Tea Bag might be slightly unattractive, and balding. They’re certainly a taboo when mentioned at tea parties but none of us would be here reading this without a working pair. 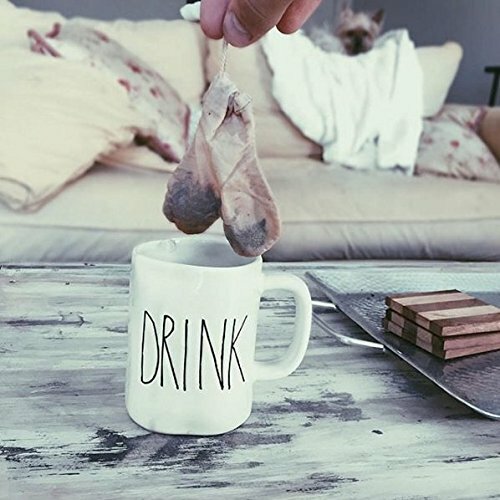 To celebrate this pair of wrinklies that rarely see the light of sunshine we now have available to purchase a reusable Teabag, a Testicle shaped Teabag. Fill them up and let them swim around your mug, just remove your ballsack when your tea is at its desired strength. Ok, no one wants to see testicles in their tea. They’re wrinkly, they remain tucked away for most their lives, and they don’t get enough credit for the super little job they do. Take pity and celebrate them. Get a Testicle Tea Bag for your friends, show your appreciation, don’t kick them when their down. Dimensions: 7.5 x 0.2 x 4 inches.